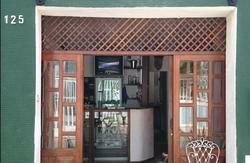 Newly opened in February 2009, Santeria Hostel Bar's position is certainly one of the most impressive in Salvador. Located just north of Barra towards the exclusive Vitoria district, the hostel has a stunning rooftop bar with an elevated view over the Todos os Santos bay. Here you can enjoy breakfast with the kind of views only hotels can usually boast, and into the evening the bar becomes one of the most stylish in the area, with Asian-inspired decor varying in colour scheme inside, a large outdoor terrace with bay views and inventive food offered to hostel guests and the public. The hostel is named after the 'All Saints' bay which it looks out over, and is adorned with colourful images and decorations of the saints of various religions, with communal areas that are all bright, cheery and modern in design, including a spacious lobby with large wood table with lifestyle magazines and a front outdoor terrace. There are five rooms in total. One 10-bed male dorm has excellent bay views costing R$34 per person, one 9-bed female dorm costs R$34 per person. There is one 6-bed and one 4-bed dorm which can both be used for individuals or groups and are priced accordingly (approximately R$42 per person). These rooms have shared bathroom. One private (can be twin or double) has a private bathroom and costs RÂ£100 per room, including towels. All prices include breakfast. Towels can be hired for R$4 per stay. Prices shown are for low season and prices are approximately R$7 per person higher Jul-Aug and Nov-Mar. Breakfast is served from 7.30-10am in the rooftop bar area and includes coffee, hot chocolate, fresh fruit, fruit juices, bread, cheese, ham, jams and cakes. There is a guest kitchen located on the ground floor with fridge freezer, oven with hobs and microwave. Two computers with free internet access are available in the lobby and there is free WiFi. The reception area is open 24hrs and has comfortable seating with magazines. The staff all speak English and can book a range of tours including Morro de Sao Paulo, Itaparica, Praia do Forte, candomble and city tours. Transfers are also bookable and there is a small cabinet selling essential items like soap and toothpaste. Luggage storage facilities are also available. Arriving at the ferry port, buses run to Barra along various routes, costing R$2.20. It may be easier to take a taxi, approximately R$15. Arriving at the bus terminal, special air-conditioned minibuses run to Barra until 8.30pm costing R$4 per person at Porto da Barra beach. 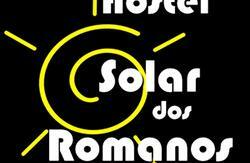 The hostel is a five minute walk north of Porto da Barra in Avenida Sete de Septembro on the coastal road. A taxi from the bus station costs R$25. Arriving at the international airport, the same minibuses run to and from Porto da Barra for the same fare until 8.30pm.